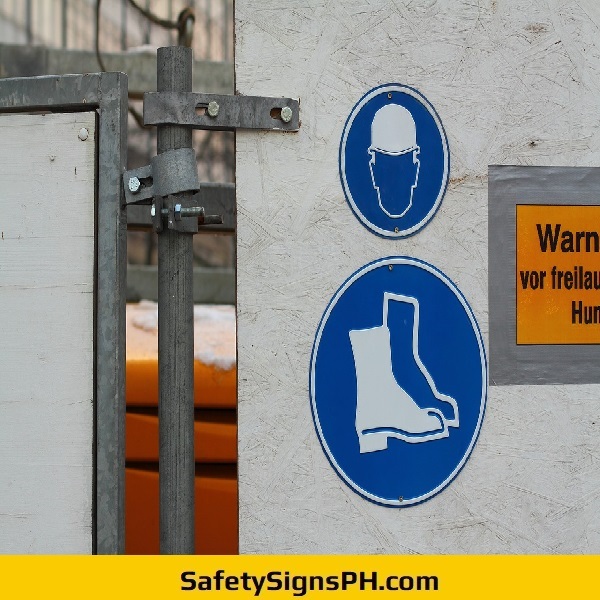 Prevent foot and leg injuries by installing foot protection signs that remind your employees to wear safety shoes and boots. 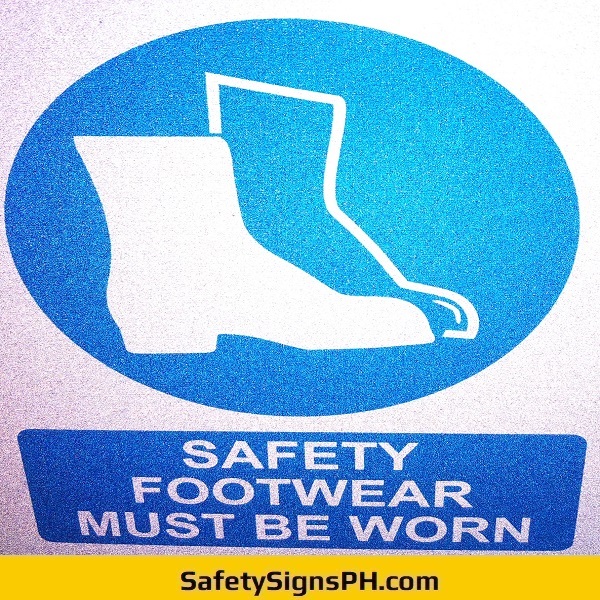 Here at SafetySignsPH.com, we specialize in designing and fabricating foot protection signages suitable for different businesses. 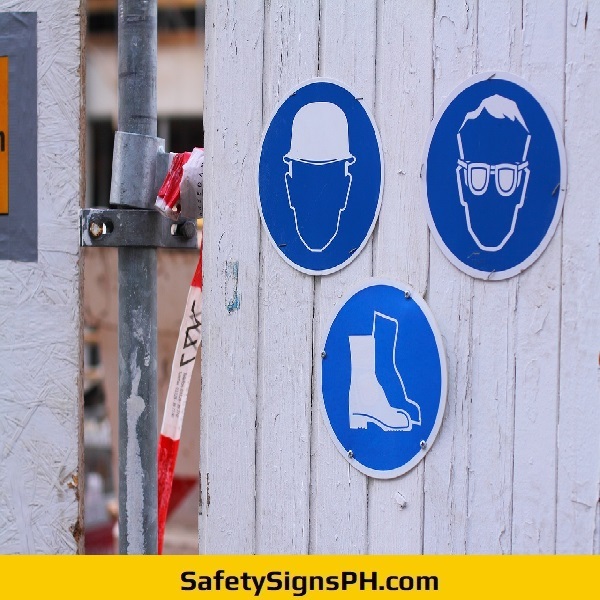 Designed with workplace safety in mind, our customized foot protection signs can installed on the wall, door, floor, fence, and other surfaces. 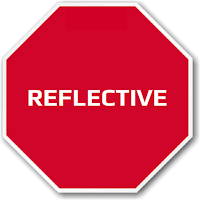 They serve as a visual reminder of the need to use foot and leg personal protective equipment (PPE), including safety boots, protective shoes, safety footwear, wellington boots, riggers, spats, gaiters, and leggings. 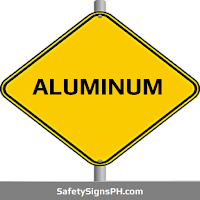 With these mandatory construction safety signs, you will be able to prevent an array of possible risks and hazards such as, among others, slippery surfaces, falling objects, abrasion, and metal and chemical splash. 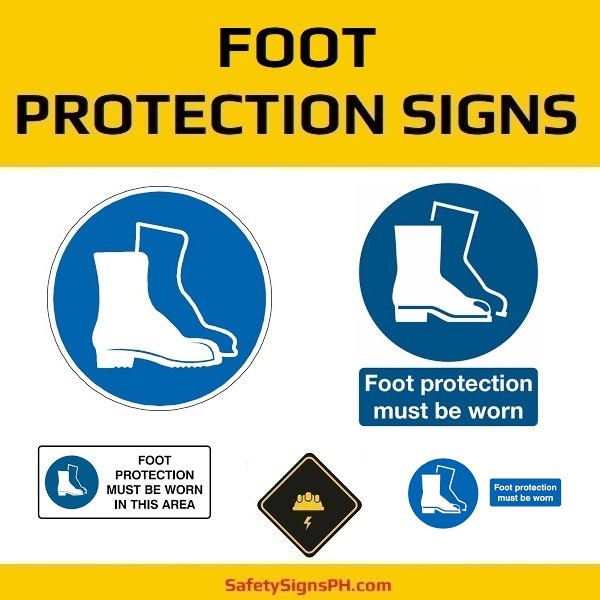 Among the most usual applications of foot protection and safety shoes signs include manufacturing, construction, building, demolition, metals and steel making, mining, oil and gas, utilities, and many others. 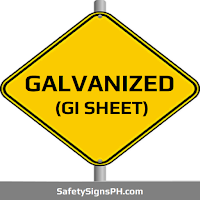 Whether you need indoor “Protective Footwear Required” signs or PPE “Wear Boots” symbol signages, we can get the job done with quick production lead time! 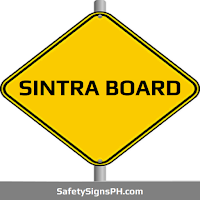 We can accommodate small and large projects anywhere in the Philippines, mainly in Metro Manila, Cavite, Laguna, Rizal, and Batangas. 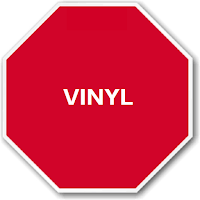 Any inquiries on our low-cost safety shoes or foot protection signs? 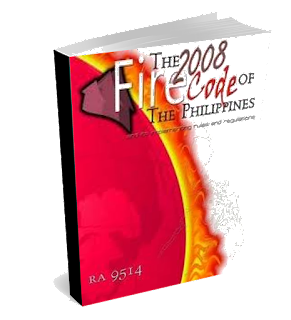 Feel free to get in touch with us! 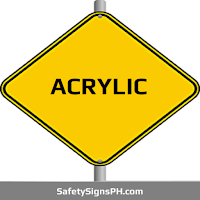 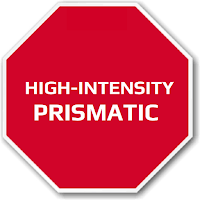 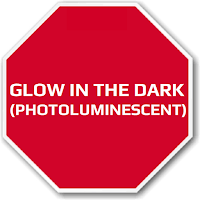 No matter the purpose, we can supply quality bespoke signages that are compliant with safety regulations. 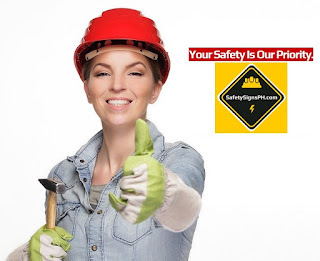 Here you are sure to find something that you need! 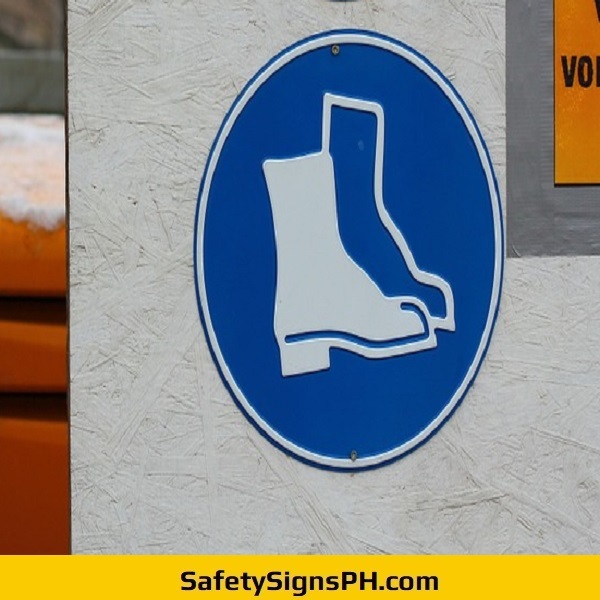 Order a bespoke foot protection sign for a cost-effective price today from an expert safety signs supplier in the Philippines!